Ready to sell your manufacturing business? Find out how to separate your company from the competition and reap a profit. Ever since the industrial revolution of the late 1700s, people have been fascinated by the manufacturing industry. Manufacturing has been a catalyst for progress, providing opportunities for America’s dreamers and doers throughout history. Those who have made a living in the manufacturing industry have seen many changes and are well aware of the pace of technology and the fierce competition that exists. If you’re the owner of a manufacturing business and the time has come to sell your company, that abundance and competition can make a lucrative sale challenging. But with some knowledge and preparation, you can learn how to make your business stand out so that you can attract quality buyers and maximize your selling profit. 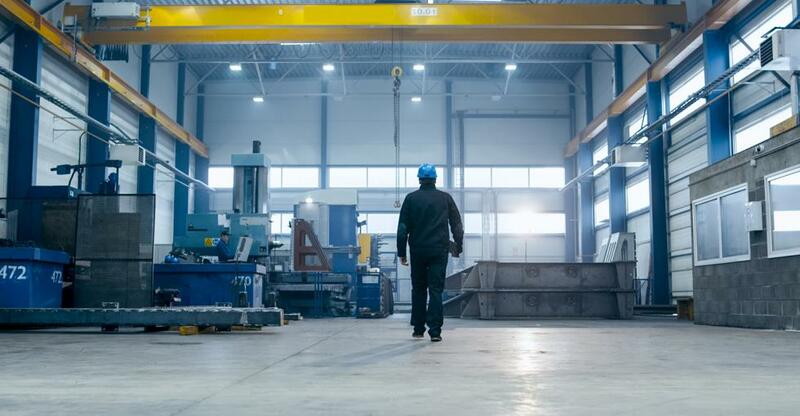 While the selling process will be a bit different from business to business depending on what you make, there are some basic best practices to follow when selling a manufacturing business. Before you can even begin talking with potential buyers, you can anticipate that their first request is going to be a clear explanation of exactly what it is your business does. You may be surprised that this question can catch you off guard, particularly if what you are doing is complex or multi-faceted. Having documentation, and even a mission statement for your business can help make the right first impression with a buyer. Next, you’ll want to make sure that you have documented your processes: what you do and exactly how you do it. Any potential buyer will feel more confident knowing that there is a basic roadmap to follow, especially if they are new to your particular area of manufacturing. You can be the greatest business owner in the world, but if all of your processes aren’t well documented — or worse, are documented only in your mind, the value of the business goes out the door when you do. Smart buyers will want to know that they can duplicate a model for success until they find their footing and ensure that the company can continue to run smoothly with or without you and the current employees. Let’s face it: Manufacturing businesses are typically messy. Still, you only get one chance to make a first impression, so clean up and make any necessary repairs to your facility before you put it up for sale. Don’t assume that buyers will understand or accept that messy conditions are “just part of the business.” Take pride in the appearance of everything from the entryway and signage to the production room floor. Organizing materials and inventory is also important, and will show potential buyers that you take pride in your business and that you haven’t simply “checked out” even though you’re ready to sell. Potential buyers want to know that financial records and taxes are up to date in any business. This is particularly critical in manufacturing where there are many moving parts and lots of inventory and expenses. Not only will potential buyers want to know that the EPA or OSHA aren’t going to come knocking on the door, but they’re also going to want to know what it takes to remain compliant. Environmental compliance is particularly critical if you are in an industry that deals with toxic materials. The best way to illustrate what a future owner will need to know about compliance is to show them what you’re already doing. That, of course, means you need to be keeping up on compliance requirements even after the sales process begins. Don’t get lazy and let things fall through the cracks. Buyers will want to see detailed records pertaining to compliance, including those for the removal of toxic or other materials. They’ll also want to see that you have processes in place for maintaining a safe and OSHA-compliant work environment. Think back to when you got into the business yourself and analyze your business as a potential buyer would. Ask yourself, what are the risks of this business and what a buyer might be concerned about during due diligence. Thinking this way will help ensure no detail is overlooked when the time comes to officially put the for-sale sign on your business. Potential buyers in the manufacturing business will want to analyze the perceived risk involved in making an acquisition. In a competitive market where there are many acquisition opportunities available, a buyer will certainly choose the business with the least risk, the best-kept financial and other records, and the most pristine facility. By following these tips, you can set your company apart from the other manufacturing businesses for sale.